Regional Engineering Employers Driving the Skills Agenda and helping youngsters Get up to Speed ….. The 6th Annual work-wise Get up to Speed with engineering and manufacturing event takes place on Wednesday 20th April 2016. 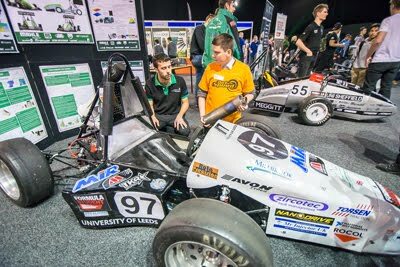 The event will return for a 2nd year to The Magna Science and Adventure Centre in Rotherham following the tremendous success in 2015 when the event attracted almost 2,000 visitors. Driven by the regions employers and supported by founding sponsors Tata Steel and The Institution of Mechanical Engineers (IMechE), joined this year by AESSEAL plc, Made in Sheffield and Santander Get up to Speed is a highly interactive event aimed at showcasing the manufacturing, engineering and technology sectors, its employers and employment opportunities to school children, students, parents and educators. The event aims to inspire; building confidence and knowledge in these sectors as a great place to work in a fun and interactive way. The Made in Sheffield brand is recognised around the world and the Sheffield region is renowned internationally for its expertise in high-precision engineering, metals production, new technologies and the high-quality design and manufacturing of products for a wide range of global industries. With manufacturing firmly placed on the national agenda, local companies understand the need to help celebrate and promote the manufacturing industry not just nationally and internationally but importantly locally to ensure that there are enough talented and skilled young people entering the industry to fill the regions growing skills needs. Engineering enterprises employ 5.4 million people which is a fifth (19.3%) of all people employed in UK enterprises and accounts for 24.9% of UK turnover (source: Engineering UK) - nine per cent higher than at the start of the recession. An increasing dependence on technology is making engineering skills more important than ever. The engineering community is increasingly involved in a collective drive to inspire the next generation, who will ensure continued growth and success of the industry. 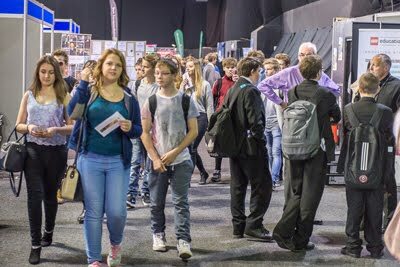 Many local companies get involved in the event through The work-wise Foundation and attend with their apprentices to talk to young people about the opportunities and careers open to them. 5 years on some of those early visitors are attending as apprentices and graduates and telling their own stories and inspiring others. Get up to Speed is a free event which is already on target this year to break it’s record attendance of last year. It includes a wide range of hands on activities and is showcasing over 50 different business plus support and education organisations. 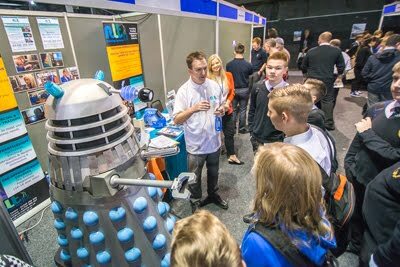 Attractions this year so far include F1 & Motorcycle simulators, Virtual Reality Welding, University Formula Racing Teams, wheel change challenge, 2016 British Touring Car Championship Vehicle plus much more to be still to be revealed - and we even have a Dalek! Anyone interested in attending or exhibiting should contact John Barber at john@work-wise.co.uk or click here to register.